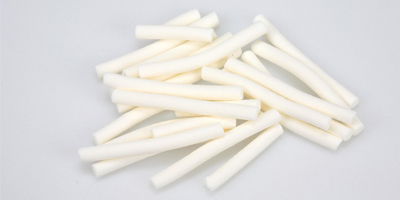 Candy sticks by Bassetts have been around for a long long time... they are a hard candy which is soft enough to bite... yum, they have a have a sugary powdery candy coating and also come in pink. 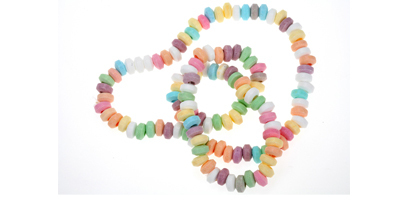 Candy necklaces offer hours of fun for children and adults.... crunchy sweetie beads with a fizzy fruity flavour – eat them or wear them the choice is yours! 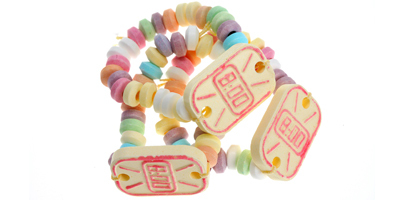 Mini Love Hearts sweets little candy sweets with a message. 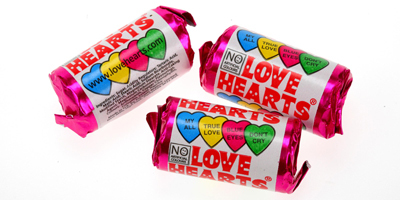 Lovehearts have played their own part in the making and breaking of many a childhood romance, send these to an old flame and you never know what may happen!! 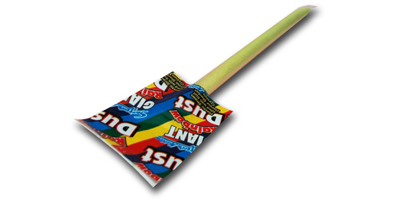 These sweets are fruit flavoured and slightly fizzy candy, but hey the best thing about them is the little message,'be cool', 'be mine' 'cool dude', the list goes on!